The world's 3rd most biodiverse-rich country. Barcodes protect our natural assets. South Africa is the 3rd richest country in the world in terms of biological diversity. It is home to about 10% of the world's plants, 7% of the reptiles, birds and mammals, and 15% of known coastal marine species. This web of natural life is vital for human well-being. It provides water, food, eco-tourism, fisheries, medicine, energy, and oxygen. We need to take care of our natural wealth. Occurs in short, dry, natural grasslands in Karroo and fynbos biomes and cultivated areas especially areas where cereals are grown. It roosts in shallow wetlands and avoids intensively grazed or burnt out grasslands. Endemic to southern Africa where it occurs mainly in South Africa with isolated populations in Namibia, Lesotho and Swaziland. In South Africa it is widely distributed in agricultural areas, the Karoo and grasslands in Western Cape, Mpumalanga, KwaZulu-Natal, Free State and Eastern Cape. Listed as vulnerable by the IUCN Red List because of rapid population decline due to persecution by poisoning, power-line collisions, habitat loss due to agriculture, afforestation, mining and urban development. Other potential threats include wind farms and pet trade. Listed under the Conservation of Migratory Species of Wild Animals (CMS) Appendix II- migratory species that need/would benefit from international cooperation. In South Africa, it is listed as Endangered under the Threatened or Protected Species (TOPS) regulations of the National Environmental: Biodiversity Act (Act 10 of 2004) but it has been downgraded to Protected in the proposed amendments to the TOPS list that is currently on its second round of public comment. It occurs in wooded grasslands with short grass for grazing, near sources of water for drinking and wallowing, with adequate bush cover and in relatively flat terrain. The historical range of the white rhino includes most countries in central and southern Africa. However, due to extensive poaching the white rhino population was reduced to one small population in KwaZulu-Natal, South Africa by the end of the 19th century. Concerted conservation efforts have however led to an increase in the population numbers to about 20000 animals by 2010. A large proportion of this population is still found in South Africa and the reminder has been translocated to its former natural range in Botswana, Kenya, Mozambique, Namibia, Swaziland, Uganda and Zimbabwe. It has also been introduced into areas outside it historical range such as Zambia, Kenya and Uganda. Listed as near threatened by the IUCN Red List because of the extensive poaching threat throughout its range that is fueled by high demand for its horn and the emergence of organized international syndicates in rhino poaching. Eastern Cape Blue Cycad Encephalartos horridus Lehm. The Eastern Cape blue cycad is found in dry thicket vegetation often on rocky outcrops. Endemic to South Africa and occurs in the Eastern Cape between Port Elizabeth and Uitenhage. Listed as endangered by the IUCN Red List and the National Assessment: Red List of South African Plants version 2014.1 because the species has declined across wide areas in its former range due to collection and urban developments. In South Africa, it is listed as Endangered under the Threatened or Protected Species (TOPS) regulations of the National Environmental: Biodiversity Act (Act 10 of 2004) – all activities are restricted with no prohibitions or exemptions. Rock surfaces on coral reefs and ocean floor. Endemic to South Africa and occurs from Cape Columbine on the west coast to the Wild Coast in the Eastern Cape. It is patchily distributed along shallow coastal areas and the highest densities are found on the south coast between Cape Hangklip and Quoin point. Invasive species – encroachment of the West Coast rock lobster Jasus lalandii into certain areas has led to the decline of abalone populations. The rock lobster feeds on the spiny sea urchins which provide protective cover to juvenile abalone from predation. The resultant decline in sea urchins has left juvenile abalone exposed to predation. Large-scale poaching precipitated by high demand and high market prices of abalone in the Far East. In South Africa Haliotis midae is listed as a species of concern for illicit trade/mislabeling under the Marine Living Resources Act. Threats: Habitat loss, use in traditional medicine, pet trade. Occurs in the Mesic habitat and dry Highveld grassland where it lives in self-excavated burrows. Endemic to South Africa and has a restricted distribution in grasslands of northern Free State and south western parts of Mpumalanga. Listed as vulnerable by the IUCN Red List because of habitat loss due to agriculture and mining. Other threats include harvesting for use in traditional medicine, pet trade and poor fire management. Persecuted by fumigation and poisoning together with other species, such as the yellow mongoose and suricates. In South Africa, Smaug giganteus is not currently listed on Threatened or Protected Species (TOPS) regulations of the National Environmental: Biodiversity Act (Act 10 of 2004) but it has been included as a Vulnerable species in the proposed amendments to the TOPS list that is currently on its second round of public comment. The rationale for its inclusion in the revised TOPS list is that the species is threatened by habitat transformation and destruction related to agriculture and mining, use in traditional medicine and pet trade. Threats: Exploited for traditional medicine use and bush meat. Threat: Habitat loss and illegal collecting for the pet trade. The Cape parrot is endemic to South Africa, where it has a very patchy distribution in Limpopo, Mpumalanga, KwaZulu-Natal and Eastern Cape. There is some debate about whether the Cape parrot in South Africa is a separate species or a subspecies of the savannah-dwelling, more northern distributed Grey-headed and the Brown-necked parrots. Listed as least concern by the IUCN Red List, but this considers the species as a whole, including the more northern subspecies. If the Cape parrot is accepted as a separate species, then its Red List status would be much higher, based on habitat loss and illegal collecting for the pet trade. In South Africa, it is listed as Critically Endangered under the Threatened or Protected Species (TOPS) regulations of the National Environmental: Biodiversity Act (Act 10 of 2004) but it has been downgraded to Endangered in the proposed amendments to the TOPS list that is currently on its second round of public comment. Found in marine and estuarine environments in subtropical areas. It occurs throughout the world in coastal warm temperate and tropical seas. It is a highly migratory and nomadic species, that migrates throughout the tropical seas. Listed as Endangered by the IUCN Red List because it is targeted for its highly valued fins, suffers from high by-catch mortality and low reproduction rate making it vulnerable to over-exploitation and population depletion. It is found along the Indian Ocean Coastal Belt in grassland, savannah and forest biomes. Endemic to South Africa and occurs in coastal region of KwaZulu-Natal from Durban to Mkhambathi Nature Reserve in Eastern Cape. Listed as vulnerable by the IUCN Red List because it occurs in highly fragmented and declining habitats. Fragmented habitats may disrupt gene flow and create genetic bottle necks that have severe implications to population viability and growth. Loss of habitat may be due to land use transformation and invasive species. May also be collected for the illegal pet trade. Listed under CITES Appendix II – international trade is monitored. In South Africa, Bradypodion melanocephalum is not currently listed on Threatened or Protected Species (TOPS) regulations of the National Environmental: Biodiversity Act (Act 10 of 2004) but it has been included as a Vulnerable species in the proposed amendments to the TOPS list that is currently on its second round of public comment. The rationale for its inclusion in the revised TOPS list is that the species is threatened by habitat transformation and loss related to urbanization and alien vegetation encroachment. Threat: Habitat loss, accidental poisoning, use in traditional medicine. Found near mountains where it breeds and roosts on cliffs. Flies long distances over open country in search of carrion. 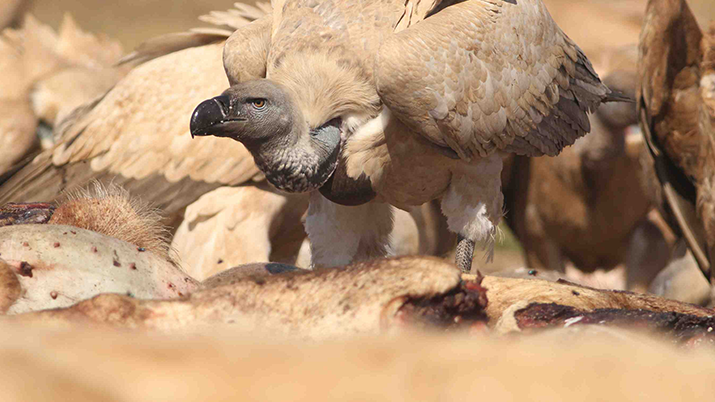 The Cape vulture is endemic to southern Africa and occurs in Angola, Botswana, Lesotho, Mozambique, South Africa and Zimbabwe. Vagrant populations occur in Democratic Republic of Congo and Zambia. Listed as vulnerable by the IUCN Red List because the species has a small population that is projected to decline due to threats from power lines, decrease in carrion, accidental poisoning, loss of foraging habitat and use for traditional medicine. Threat: Hunting and habitat loss. Specialized in their habitat requirements and throughout their distribution range they are restricted to forest, thickets or dense coastal bush. Widely distributed throughout southern, central and parts of western Africa, their distribution is patchy and discontinuous because of specific habitat requirements. In South Africa they occur in suitable habitats along coastal areas from Imfolozi River system in KwaZulu-Natal down to George in the Western Cape. Listed as least concern by the IUCN Red List because the species is widespread and abundant throughout it range. Potential threats are increasing hunting pressure and habitat degradation. National Assessment: Red List of South African Plants- not evaluated. In South Africa, Aloe dichotoma is not currently listed on Threatened or Protected Species (TOPS) regulations of the National Environmental: Biodiversity Act (Act 10 of 2004) but it has been included as Endangered species in the proposed amendments to the TOPS list that is currently on its second round of public comment. The rationale for its inclusion in the revised TOPS list is that the species is threatened by climatic change, harvesting and trampling by livestock. Climate change models predict a 36-percent decrease in range size in 100 years assuming there is dispersal into new suitable areas and a 73 percent range decline without dispersal. Threats: Habitat loss, subsistence hunting, use in traditional medicine. Found in a wide range of habitats in open woodland, scrub and grassland, especially in areas with sandy ground. Wide distribution in western, central and southern Africa. In South Africa, they occur throughout all the provinces. Listed as least concern by the IUCN Red List because although the species is shy and rarely seen it is relatively common in suitable habitats and it is widespread throughout it range. Potential threats include habitat loss due to agriculture, subsistence hunting and use in traditional medicine. In South Africa, Orycteropus afer is not currently listed on Threatened or Protected Species (TOPS) regulations of the National Environmental: Biodiversity Act (Act 10 of 2004) but it has been included as a Protected species in the proposed amendments to the TOPS list that is currently on its second round of public comment. The rationale for its inclusion in the revised TOPS list is that the species is threatened by habitat loss due to agriculture, subsistence hunting and use in traditional medicine. Threat: Export, habitat loss, overuse for local traditional medicine. It occurs in Albany thicket, Fynbos, grassland, Nama Karroo and succulent Karoo biomes. It usually grows in short grassland and on a variety of soils that vary from sand to clay-loam, shale and basalt. Wide distribution throughout South Africa and occurs in Eastern Cape, Gauteng, Free State, KwaZulu-Natal, Mpumalanga and North West. Also known to occur in Lesotho. Listed as Least Concern by the National Assessment: Red List of South African Plants version 2014.1 because it is abundant and widespread in eastern South Africa and Lesotho. Potential threats include over exploitation for local traditional medical use as well as for export, habitat transformation through agriculture and habitat degradation through overgrazing that often leads to erosion and bush encroachment. In South Africa, Pelargonium sidoides DC is not currently listed on Threatened or Protected Species (TOPS) regulations of the National Environmental: Biodiversity Act (Act 10 of 2004) but it has been included as Protected a species in the proposed amendments to the TOPS list that is currently on its second round of public comment. The rationale for its inclusion in the revised TOPS list is that the species is slow growing (10 to 15 years) and is currently being harvested and traded in very high volumes for the international medicinal market. Management of the trade is required to ensure that the slow growing species is sustainably harvested. Threat: Illegal collection for pet trade. It occurs in the savannah biome in lightly wooded habitats, under rocks and logs. Endemic to South Africa and has been recorded from Ndumo Game Reserve and Tembe Elephant Park in KwaZulu-Natal. The Blue-footed baboon spider occurs in two protected areas and should therefore be protected. However, this species is found as a pet in many European countries and the USA, so illegal collecting for the pet trade may pose a threat. In South Africa, Idiothele mira is not currently listed on Threatened or Protected Species (TOPS) regulations of the National Environmental: Biodiversity Act (Act 10 of 2004) but it has been included as an Endangered species in the proposed amendments to the TOPS list that is currently on its second round of public comment. The rationale for its inclusion in the revised TOPS list is that the species is threatened by habitat transformation and loss related to urbanization as well as by the pet trade. Threat: Overfishing and aquarium trade. Found in marine and estuarine environments in tropical areas. It occurs on coral reefs at a depth of 4 to 100 meters. Occurs in the Indo-Pacific region where it extends from the Red Sea to Algoa Bay, South Africa, eastwards up to the Hawaiian and Pitcairn Islands, northwards up to southern Japan and south to Australia. Absent in the Persian Gulf. Listed as Vulnerable by the IUCN Red List from commercial and recreational fishing activities such as live reef trade, spearfishing and aquarium fish trade that have potential to adversely affect populations. Harvesting for traditional medicine trade may be an additional threat. In South Africa Epinephelus lanceolatus is listed as a prohibited species under Marine Living Resources Act. Found in marine environments in subtropical areas. It occurs on coral reefs at a depth down to 60 meters. It occurs in the western part of the Indian Ocean along the coast of Mozambique and KwaZulu-Natal and Eastern Cape in South Africa. Listed as Least Concern by the IUCN Red List because it is a protected species in South Africa which represents the majority of its natural range. In South Africa Anchichoerops natalensis is listed as a prohibited species under the Marine Living Resources Act. Occurs in a range of habitats including savannah, forest and grassland biomes where it is found in a variety of habitats that are usually in riverine and rocky areas. It is found in the southern half of Africa, from the equator to the northern and eastern parts of South Africa. Listed as least concern by the IUCN Red List because the species is widespread and common in its habitat. Potential threats include habitat transformation and fragmentation. Threat: Habitat loss, harvesting for trade. Rocky slopes that are not impacted by land transformation. Endemic to South Africa and is restricted to, but widespread in the Eastern Cape. Listed as least concern by the National Assessment: Red List of South African Plants version 2014.1 because its populations are stable and it is widespread in it natural range. Potential threats include land transformation and harvesting for trade. In South Africa, Pachypodium bispinosum A.DC is not currently listed on Threatened or Protected Species (TOPS) regulations of the National Environmental: Biodiversity Act (Act 10 of 2004) but it has been included as a Protected species in the proposed amendments to the TOPS list that is currently on its second round of public comment. The rationale for its inclusion in the revised TOPS list is that the species is long-lived, slow recruiting and slow growing. The plant has experienced increased harvesting and trade of both wild and artificially propagated plants for the international medicinal market. Lack of effective management, control and monitoring of wild harvest in its range poses a high risk of unsustainable use. There is need for regulation and management of the trade to ensure that the species is sustainably utilized. Marine species that occurs in rocky areas at a depth of 90 to 170 meters. Endemic to South Africa and occurs between Cape Agulhas on the southwest coast to East London on the northeast coast. Listed as Least Concern by the IUCN Red List because the population is increasing and stable due to good fisheries management practices. - In South Africa the Panulirus gilchristi is listed as a species of concern for illicit trade/mislabeling under the Marine Living Resources Act. 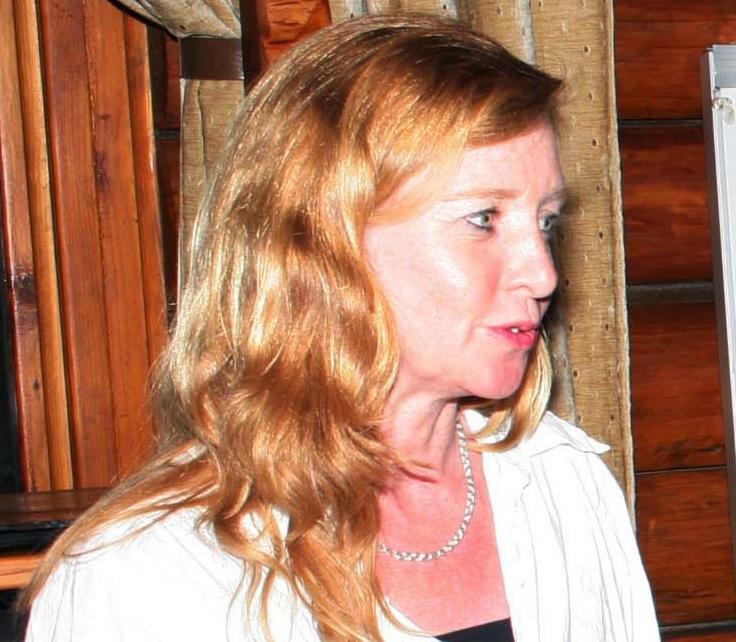 Michelle Hamer is co-chair of the South African National Biodiversity Institute (SANBI). She is also director of Biosystematics Research & Collections Initiatives at SANBI, which involves developing and implementing projects at a national level dealing with taxonomy, DNA barcoding, surveys and collections of preserved specimens. SANBI uses a “managed network” approach to achieve many of its priority outcomes, rather than doing all the work inhouse. Hamer's role as a SANBI research manager is to develop appropriate networks and to co-ordinate multi-institutional projects related to biodiversity. 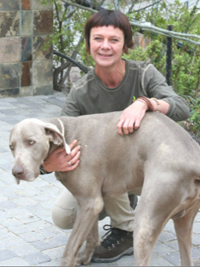 Antoinette Kotze is manager: research & scientific services at the National Zoological Gardens of South Africa. By education, inclination and experience she is a scientist, and is passionate about biodiversity and biodiversity conservation. She has worked extensively with wildlife, as well as indigenous farm animals. She has spearheaded transformation and interdisciplinary research projects, ranging from negotiation skills to brokering partnerships with national and international entities. She is passionate about building capacity in biodiversity conservation, with a proven ability to lead, inspire and motivate staff members as well as undergraduate and postgraduate students. Michèle Pfab is the scientific co-ordinator of South Africa’s CITES Scientific Authority, a committee of experts mandated to advise the minister of environmental affairs on the utilization of and trade in South Africa’s wildlife, with a specific focus on species listed in the appendices to the Convention on International Trade in Endangered Species of Wild Fauna and Flora (CITES) and species listed as threatened or protected in terms of the National Environmental Management: Biodiversity Act. She holds an MSc degree in resource conservation biology from the University of the Witwatersrand and has 17 years of experience in conservation practice within the government sector. 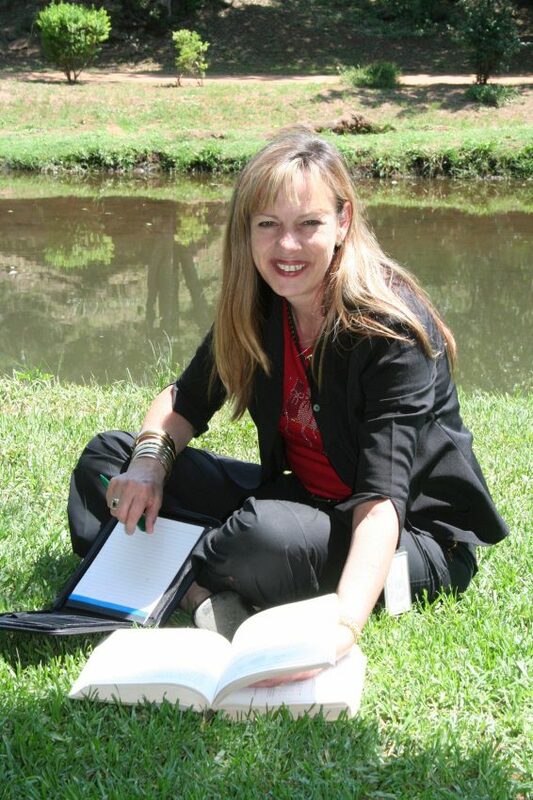 Prior to her current employment with the South African National Biodiversity Institute, Michèle worked in the Directorate of Nature Conservation in the former Gauteng Department of Agriculture, Conservation and Environment, where her main focus area was biodiversity planning. 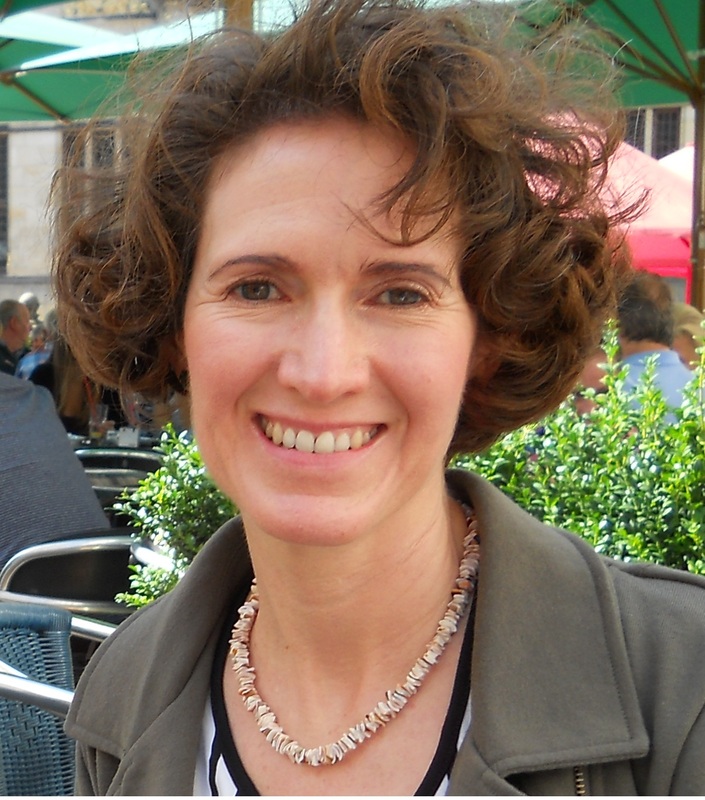 Professor Michelle van der Bank is head of the African Center for DNA Barcoding (ACDB) at the University of Johannesburg, and associated professor in botany. She has a PhD in botany. As a member of the Barcode of Wildlife-South Africa’s National Project Committee, she is involved in the development of plant standard operating procedures, and training of environmental management inspectors and prosecutors in barcoding and sampling. She is also responsible for the sampling of plant material for the project. 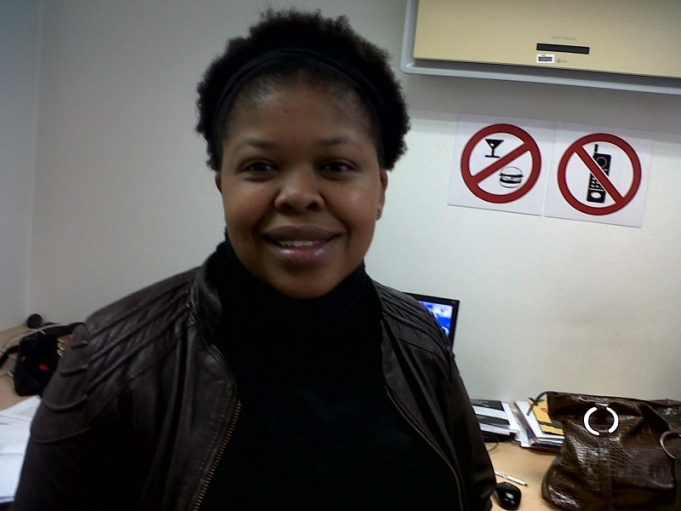 Zandie Adam is biomaterials laboratory officer at the South African Institute for Aquatic Biodiversity (SAIAB). She currently manages the Tissue Biobank at SAIAB. She is involved with cataloguing and organising biomaterials, preparing barcoding plates, and processing national and international biomaterial loan requests. Her lifelong fascination with biology led her into a career in the life sciences. Her background in microbiology and zoology put her into a position that fits well with an institution like SAIAB and projects like the Barcode of Wildlife Project, where she gets the chance to put the two disciplines together. Monica Mwale is a scientist at the National Zoological Gardens of South Africa (NZG) a research facility of the National Research Foundation (NRF). She is passionate about the systematics of wildlife and fishes and is interest in population diversity and the evolutionary history of organisms. In the Barcode of Wildlife-South Africa Project, she is responsible organising and managing the DNA barcoding processes and analyses of the priority and look-alike wildlife species of South Africa. 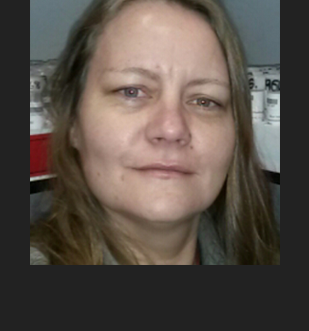 She works with the NZG team in sampling under chain of custody and uploading of DNA sequence and specimen records into the LIMS reference database system. 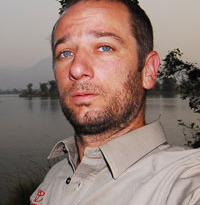 Willem Coetzer (MSc: Zoology) is biodiversity information manager at the South African Institute for Aquatic Biodiversity (SAIAB). He began his career in 1997 at the Agricultural Research Council, doing research in biological control of weeds. An interest in computers eventually emerged and caused his focus to shift to the information associated with biodiversity. In 2004 a door at SAIAB opened to reveal his present challenge: how to represent biodiversity concepts for artificial intelligence. 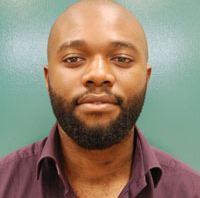 Ronny Kabongo is the sequencing specialist at the African Center for DNA Barcoding (ACDB) at the University of Johannesburg. He has an MSc in botany. For the Barcode of Wildlife-South Africa Project, he is involved in the development of animal standard operating procedures, and the training of environmental management inspectors in barcoding and sampling. He is also responsible for the sampling of plant material for the project, for the sequencing of the plant samples, and the uploading of data. Kim Labuschagne is the Biobank curator at the National Zoological Gardens of South Africa. Her passion for conservation and anything animal-related has steered her career. After starting as an honours student at the Biobank in 2005, she worked her way up to her current position as its curator. This involves managing the optimal banking of various tissue collections, as well as access to the biomaterials and the metadata associated with the samples. 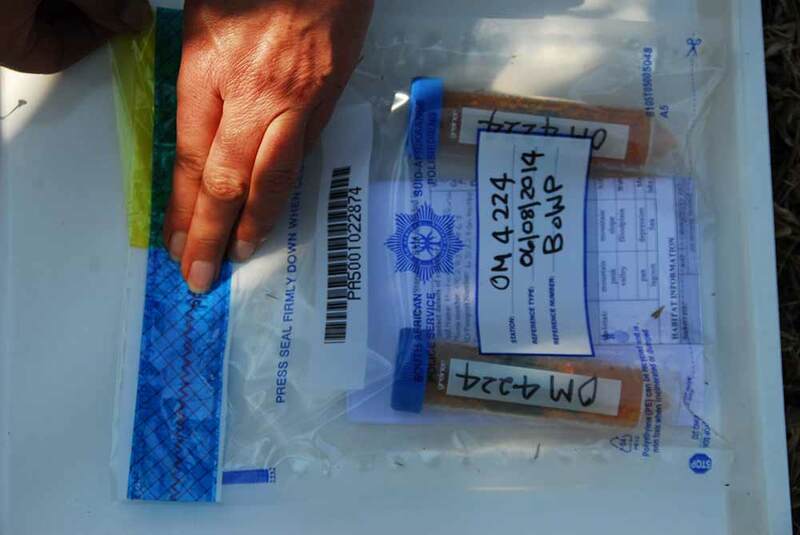 The Biobank is a critical stop-point for the samples from mammal, bird and reptile species in the Barcode of Wildlife-South Africa Project. It ensures the samples are access-controlled due to their full chain-of-custody status, as well as stored optimally for potential further use. “The project has ensured that my knowledge and experience through biobanking practices over the years are being put to good use,” says Kim. 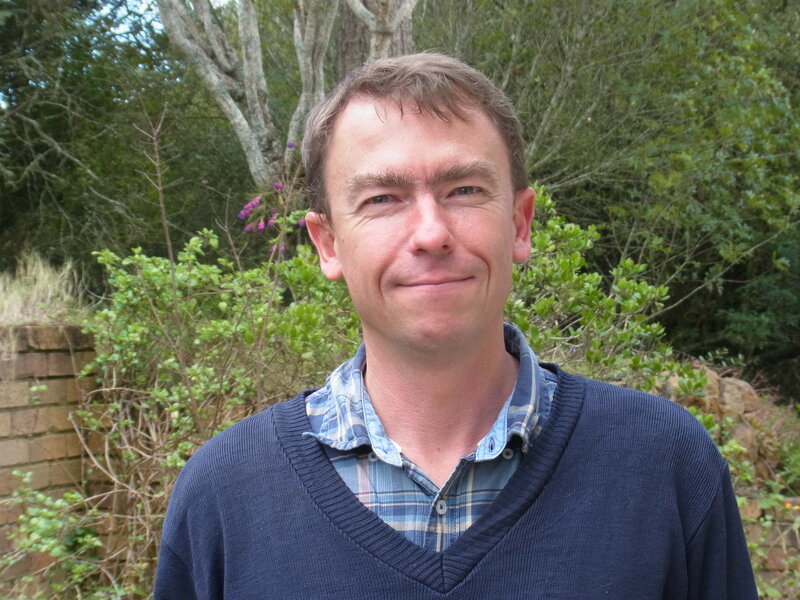 Olivier Maurin is the laboratory manager at the African Center for DNA Barcoding (ACDB) and a postdoctoral fellow at the University of Johannesburg. He has a PhD in botany. For the Barcode of Wildlife-South Africa Project, he is involved in the development of plant standard operating procedures, and the training of environmental management inspectors in barcoding and sampling. He is also responsible for the sampling of plant material for the project, responsible for the overall management of the project at ACDB, and the uploading of data. 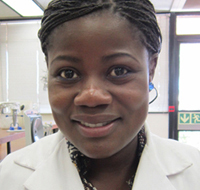 Salome Malgas is a laboratory technician at the African Center for DNA Barcoding (ACDB). 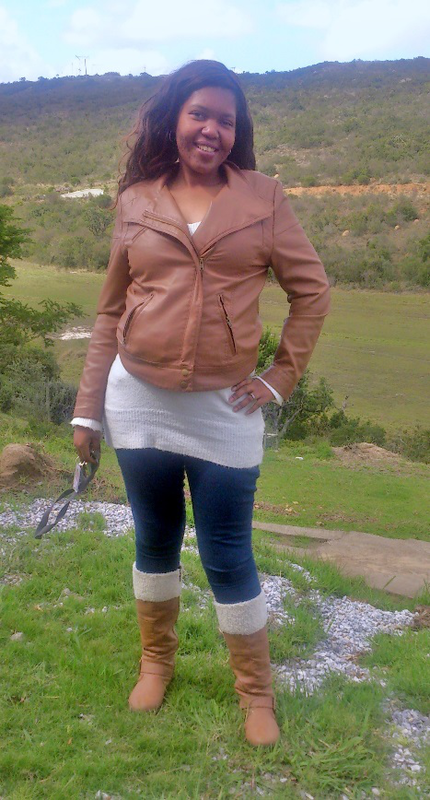 She has matric and a diploma in administration and art projects. For the Barcode of Wildlife-South Africa Project, she is responsible for the extraction, polymerase chain reaction and sequencing of plant material. Thando Radebe is a research assistant in the Center for Conservation Science at the National Zoological Gardens of South Africa. She completed her B-tech in biotechnology and is currently pursuing an M-tech. Forensics is her passion, and she says the Barcode of Wildlife-South Africa Project has exposed her to sample collection and being close to a lot of rare species, “which is usually not the case because most of the time we only receive samples to do in the lab. I have found a new respect for the value of the stuff we receive in the lab, and have discovered field world is not that easy,” she says. Marli Roelofse is a research assistant at the National Zoological Gardens of South Africa. She is responsible for the laboratory analysis of samples received at the Centre for Conservation Sciences, which includes services rendered to game farm owners and participating in the wildlife research the centre is conducting. She is passionate about wildlife and forensic sciences, and at the National Zoological Gardens of South Africa she has excellent opportunities to combine these two fields. She is also studying at the University of the Free State, specialising in forensic genetics and especially wildlife forensic genetics. 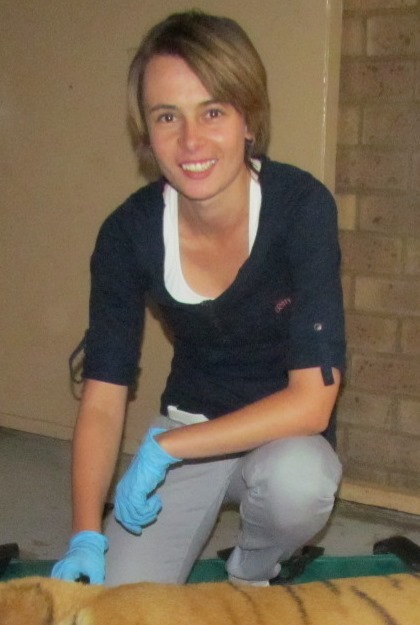 For the Barcode of Wildlife-SA project, she is involved in both the sampling of specimens and their DNA barcoding. “It has been an unforgettable, knowledge-expanding experience to be part of this project,” she says. 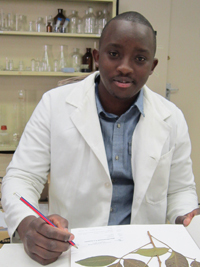 Eugene Zandisile Shongwe is laboratory technician at the African Center for DNA Barcoding (ACDB) and a Groen Sebenza pioneer. He has a BSc in environmental management. For the Barcode of Wildlife-South Africa Project, he is responsible for the extraction, polymerase chain reaction and sequencing of plant material. 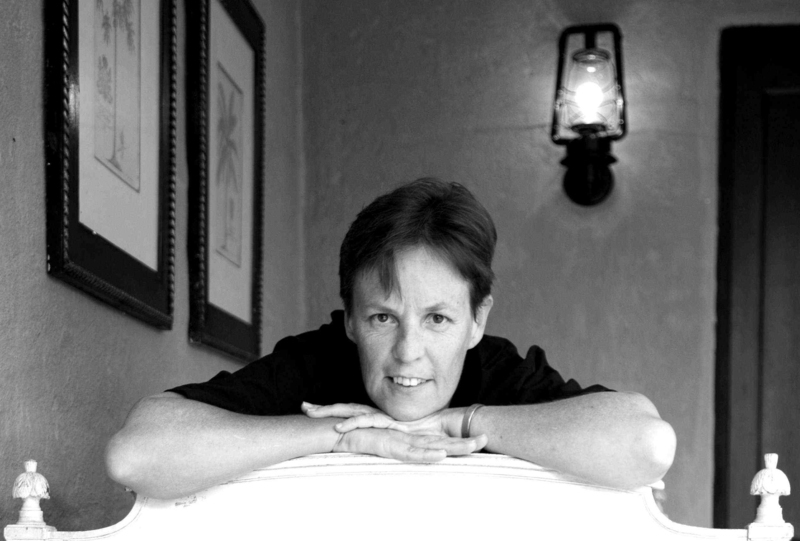 Fiona Macleod champions South Africa's biodiversity future as a pioneering South African environmental journalist at a range of the region’s top media. She currently heads up the Oxpeckers Center for Investigative Environmental Journalism, a unit that combines traditional investigative reporting with data analysis and geo-mapping tools to expose eco-offences. She served as environmental editor at the >Mail & Guardian newspaper for 10 years, and was awarded the prestigious Nick Steele award recognising her contributions to environmental conservation. 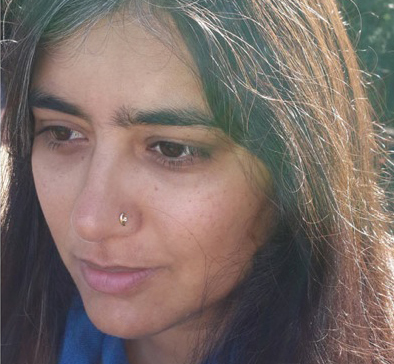 Rehana Dada focuses on biodiversity as a filmmaker, writer and researcher. She is a Knight Science Journalism Fellow, and has consulted as a researcher in climate change and sustainable development. She produced and directed documentaries for the environmental TV programme 50/50 for 13 years, and produced and presented programmes for SAfm on SABC radio for 4 years. She was a founding coordinator for the One Million Climate Jobs Campaign, and managed communications for the Working for Wetlands ecosystem restoration and job creation programme.